The concept of the interactive table is a brilliant one. It enables guests to access information, which can include menus, directly on the table, with automatic precision. 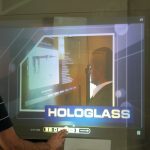 While the most popular application for these unique displays is for restaurants, many businesses are seeing their potential in other uses. Interactive tables bring interactive viewing right to the forefront and viewing space of your audience. Whether used in a dining establishment, or as part of a corporate strategy to demonstrate business initiatives, these tables bring to life ideas and concepts, as they provide information directly to the viewer. Seamless, effortless promotion: Interactive tables present a simplified format that delivers impressive, astonishing results. Minimize surface space: Less clutter, fewer problems; and with interactive tables from Intermedia Touch, you can minimize the amount of clutter and loose ends that come from many printouts and restaurant menus, and promotions. All info in one place, easy to access, guaranteed to be delivered straight to your guests in a stunning format. Increased durability: Our interactive tables are designed for supreme durability. They are reinforced with impact glass for absolute protection, which allows you to have the utmost confidence in their lasting ability. They are exceptionally beautiful and not at all delicate. Multipurpose content: Interactive tables enable you to present your information as conveniently as possible, within a format that can be changed and altered as needed to ensure the longevity of your investment, while serving multiple purposes. Maximize consumer interaction: If you want to engage your customers, there is no better way than by using interactive tables that present information right at the forefront of their experience. Customizable touchscreen content: Because all content is customizable, you can have it tailored and created to fit your exact needs. 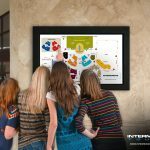 For all of your digital signage needs, including customized interactive tables, contact Intermedia Touch today to learn more about having the right solutions created for your business’s needs.